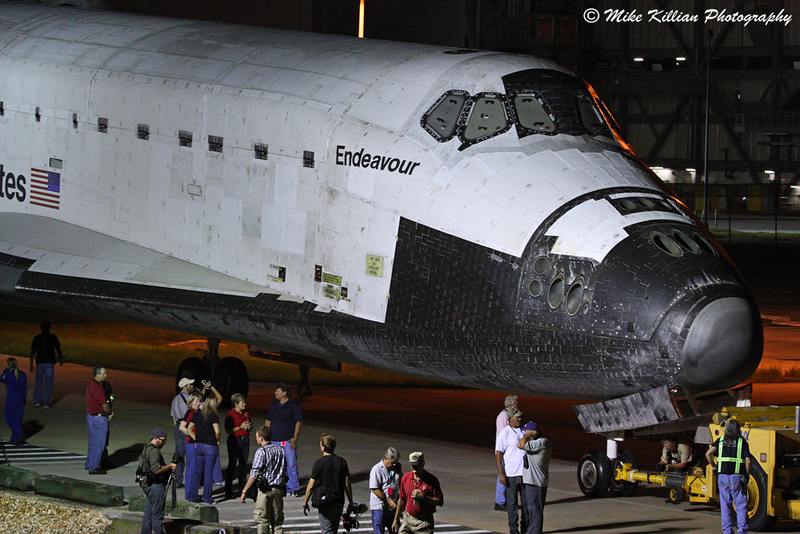 Mike Killian posted some sweet photos to the “Welcome Endeavour/Spot the Shuttle” group on facebook. Killian is a professional photographer out of Florida and his portfolio includes some fantastic Kennedy Space Center/Cape Canaveral shots. Check out his Final Voyage of the Endeavour photos. I’m finding the decommissioning the Space Shuttles almost as impressive as their space flights.